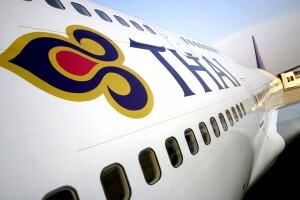 According to the Bangkok Post, “flabby” flight attendants are put on notice to shed the pounds or stay on the ground. While most airlines are looking at ways to trim the budget, Thai Airways wants to trim the staff, and we’re not talking lay-offs here! A total of 41 flight attendants are affected (28 of them male). According the the article, flight attendants not meeting the airline’s body mass index and waistline controls imposed last year, are limited to service on domestic and same-day-return flights. If they don’t comply after a year, they will be transferred to ground services. Oh lord. I wonder if I’d be in trouble. Nah, I don’t think so.